An advanced alcohol-based ink formula that ensures rich color saturation and coverage with silky ink flow. * The alcohol-based ink doesn't dissolve printed ink toner allowing for odorless vividly colored artwork on printed materials. 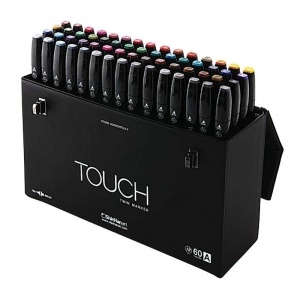 * The delivery of ink flow can be perfectly controlled to allow precision drawing. * The ergonomically designed rectangular body resists rolling on work surfaces and provides a perfect grip that avoids smudges and smears. 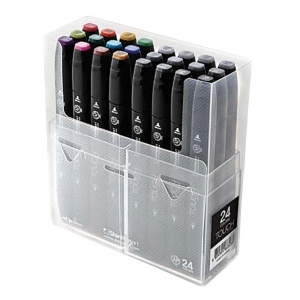 * A specially designed safety cap stacks neatly and prevents damage to the nibs. 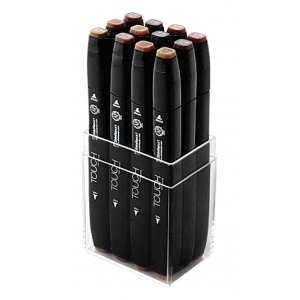 * Each marker can work with one of four replaceable nib options to achieve a wide range of strokes from fine lines to wide color fills. * Extend the life of the marker with refill inks; or mix custom colors!